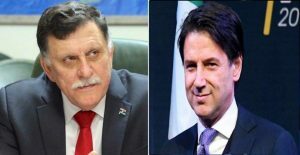 Italy’s PM Conte has officially invited Faiez Serraj to the Palermo Libya conference planned for 12-13 November this year (PC). Faiez Serraj, the head of Libya’s Presidential Council and Government of National Accord, was officially invited on to the Palermo Libya conference, his media department has revealed. The invitation came during a telephone call from Italian Prime Minister Giuseppe Conte on Tuesday. Conte also expressed his country’s full support for Serraj’s efforts to achieve security and stability in Libya, the media department statement said. 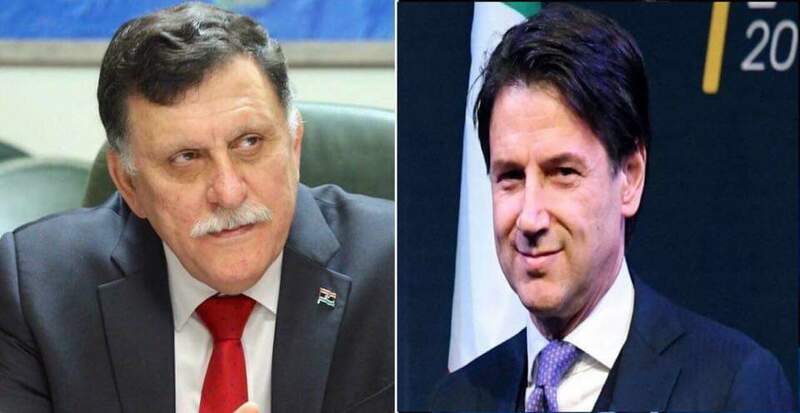 For his part, Serraj praised the Italian Government’s efforts in supporting the democratic process in Libya, welcoming the holding of the conference, wishing it would achieve positive results that would contribute to the resolution of the Libyan political crisis, the statement added. It will be recalled that Italy has announced that it will be holding a conference on Libya, similar to the conference held by France in Paris in May this year, in the Sicilian city of Palermo on 12-13 November this year. Italy had earlier invited the head of the House of Representatives Ageela Saleh to attend the Palermo Libya conference. Whilst the main Tripoli politicians in the form of Faiez Serraj and High State Council head Khaled Mishri are expected to attend, it is still unclear whether Ageela Saleh and Khalifa Hafter will. If any of these four main political leaders – who had attended the successful Paris conference – fail to attend, the conference would be deemed a failure. It will be recalled that all of the above four political leaders had reached a reconcilitory accord in Paris, which was quite an achievement in recent Libyan politics, and had committed to elections by 10 December this year. At the time of writing, it is still unclear as to what are the real main aims of Italy for the Palermo conference. Sources indicate that there is still no agenda for the conference.